I have two new charges to take care of at the nursery. Neither of them are mine, so I have to pay special attention to them so they don’t die or suffer or anything grim like that. The other is a quercus virginiana (southern live oak). I don’t have much work to do on either of them at the moment but I do have a lot to say. And this is a blog after all. 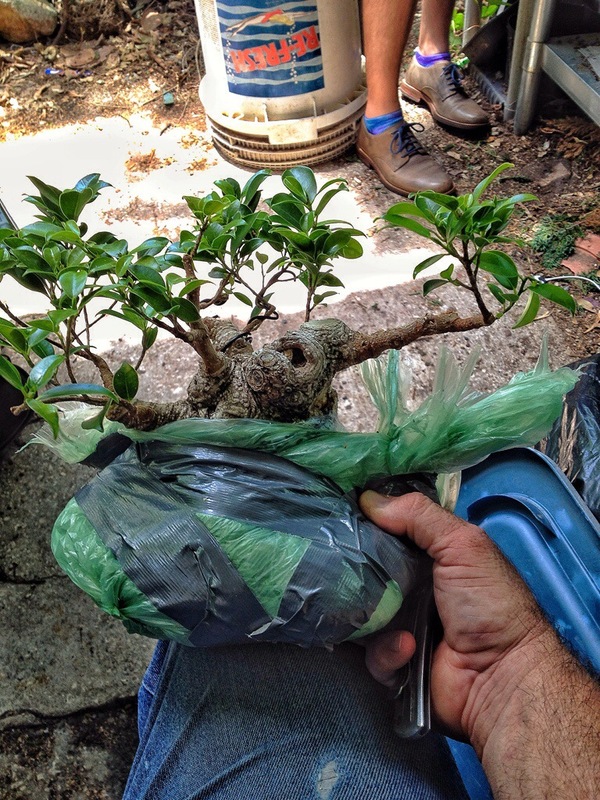 Let’s start with the ficus. A reader (Hi Tom!) from the Great White and Frozen North has been corresponding with me for several months and the conversation turned to the idea of me boarding and developing tropical trees that were just lingering in bad climates. And for Tom, he even has a further handicap, his living quarters at the moment don’t have an outside space for this tree. So his setup is a light tent in his apartment. Not ideal at all. The silver cloth in the background is that tent. 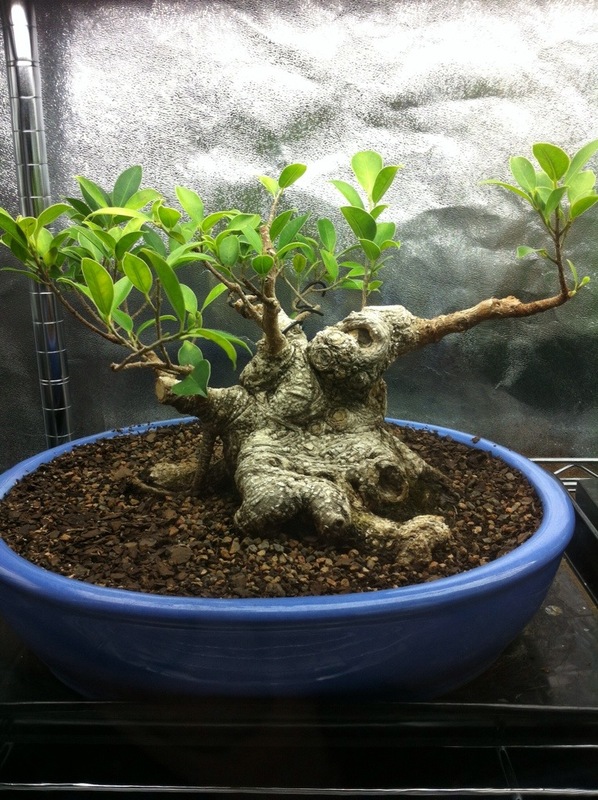 You could spend a lot of money and time and work setting up an indoor growing room for bonsai. If you have to, as in Tom’s case, then do so. 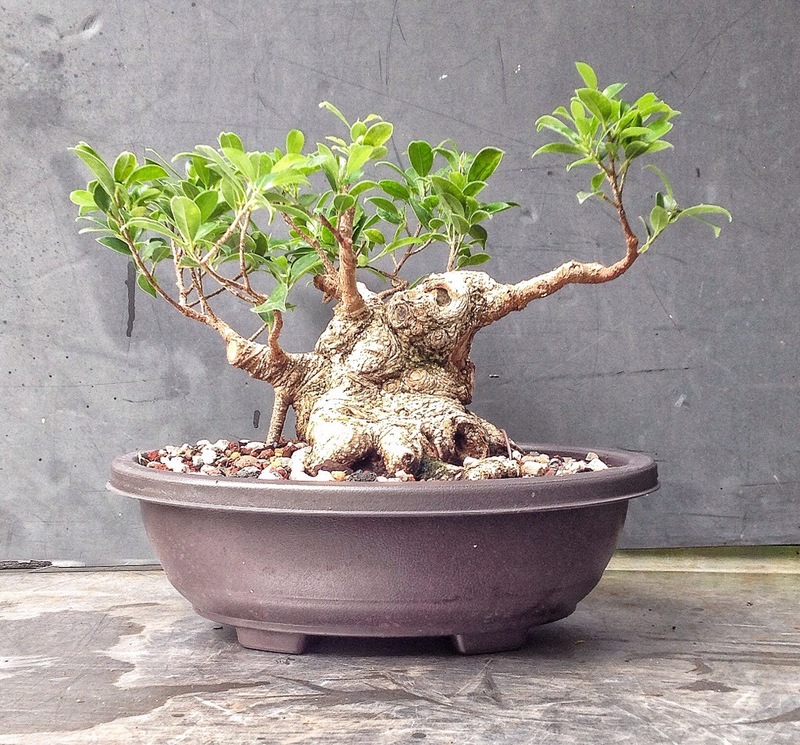 But a bonsai is not a desk plant, for it to grow well, a tree needs to be outside. And even in this case, Tom has spent a good deal on state of the art indoor growing equipment, but he’s choosing to send the tree hundreds of miles south to live in Florida with me. He took my advice when shipping it. 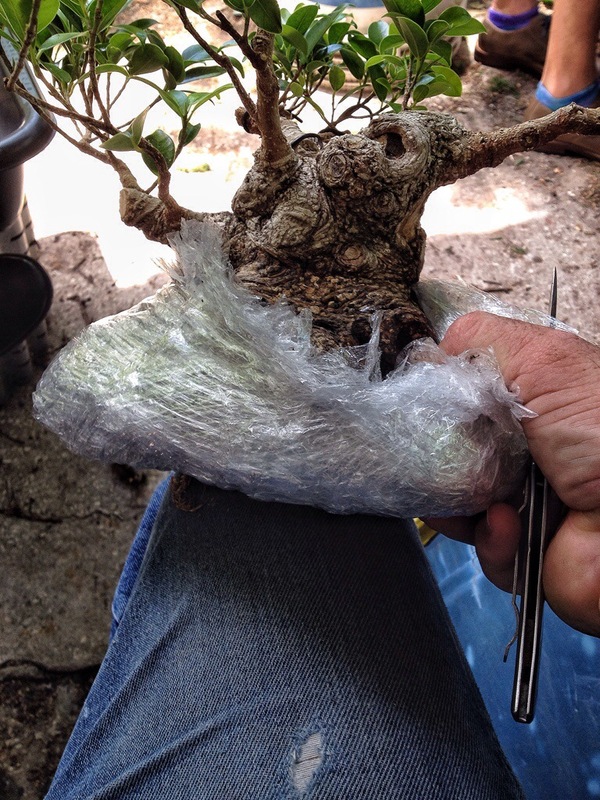 He removed it from the pot, wrapped the roots with wet sphagnum moss and then wrapped plastic wrap around that and taped it securely. 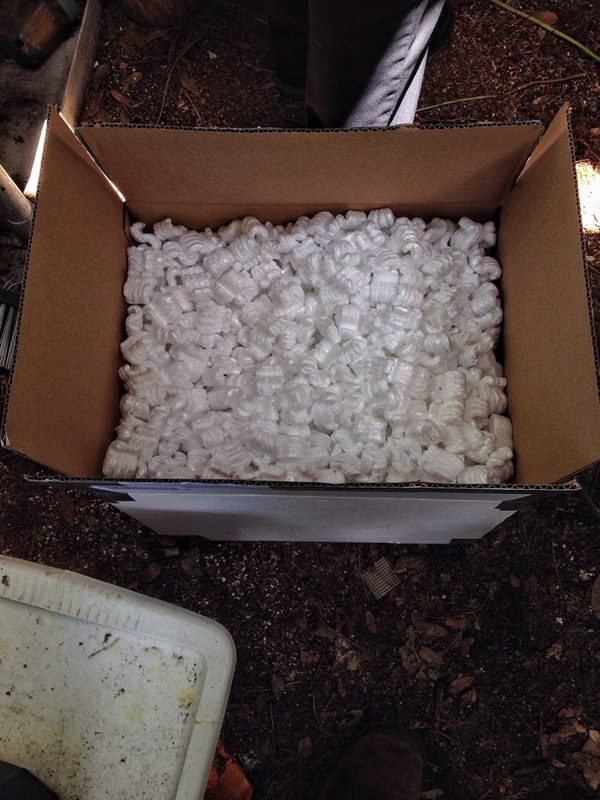 Then he put the tree into a box and filled the space with packing peanuts. The only step I might have added was to secure the tree to the bottom of the box so that if the box got upside down somehow (how could that possibly happen is a complete mystery, the shipping companies are so careful) the tree wouldn’t be crushed. But it came through well and now it’s time to pot it up. 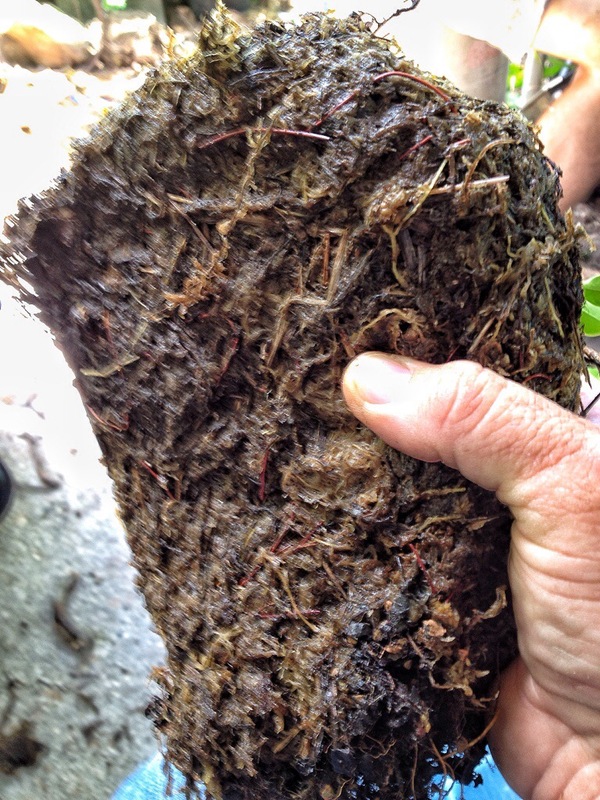 There’s the sphagnum on the roots. I’m putting it into my special mix (the one that has everything I am experimenting with included in it) and into this plastic training pot. The one thing the different types of soil have in common is the coarse nature of the particle sizes. I’m in Florida and it’s coming into the summer, which means rain. 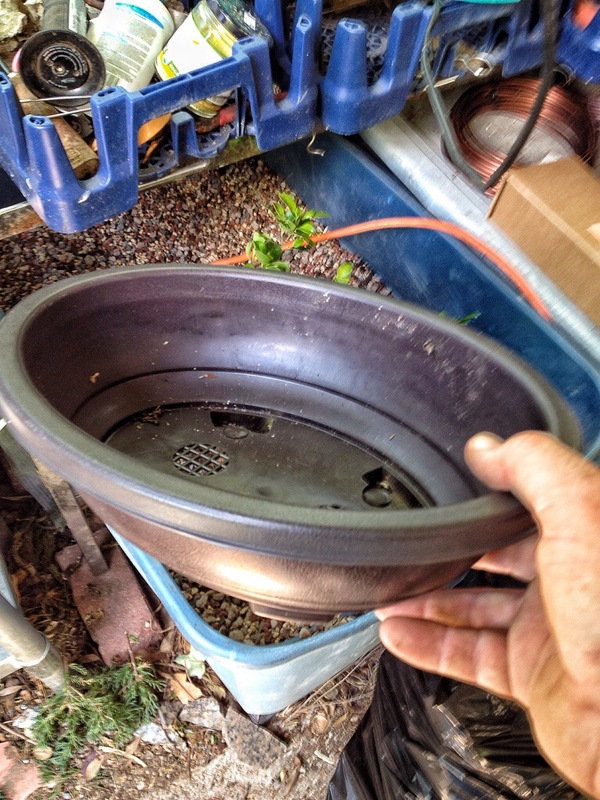 The container has drain holes galore; whoever designed this pot knew what they were about. 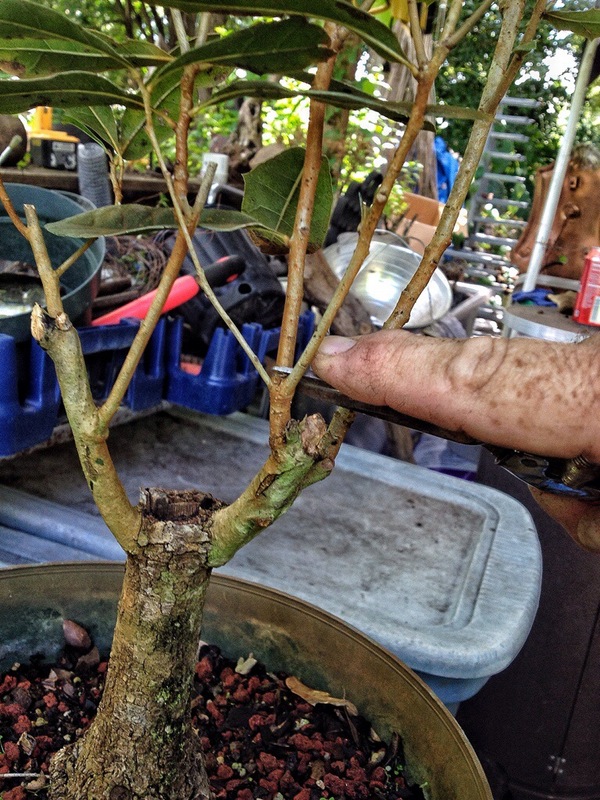 The most important thing now is to make sure the tree is secure in the pot. 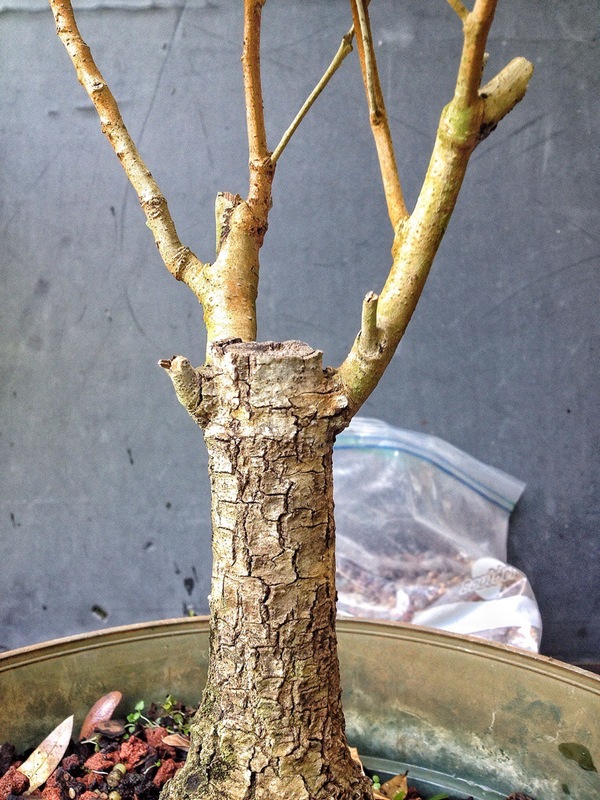 Root growth will determine top growth with this tree. This tree made me mad, a little. It was provided by a nursery for the BSF convention. Not very spectacular at all. I have myself to blame for this and several other trees in that workshop, I’m pretty sure I chose all of the material…..but this tree should not have been delivered. If it were my nursery, I would not have my name attached to this tree. It would not have left the nursery nor would I have taken money for it. There was one lady who couldn’t see any potential in the workshop trees and withdrew from the class and we decided to drop the price by thirty dollars for everyone else. But it was Peter Warren as the teacher in the workshop and he did a magical job in transforming the seemingly less than stellar material into really nice trees. 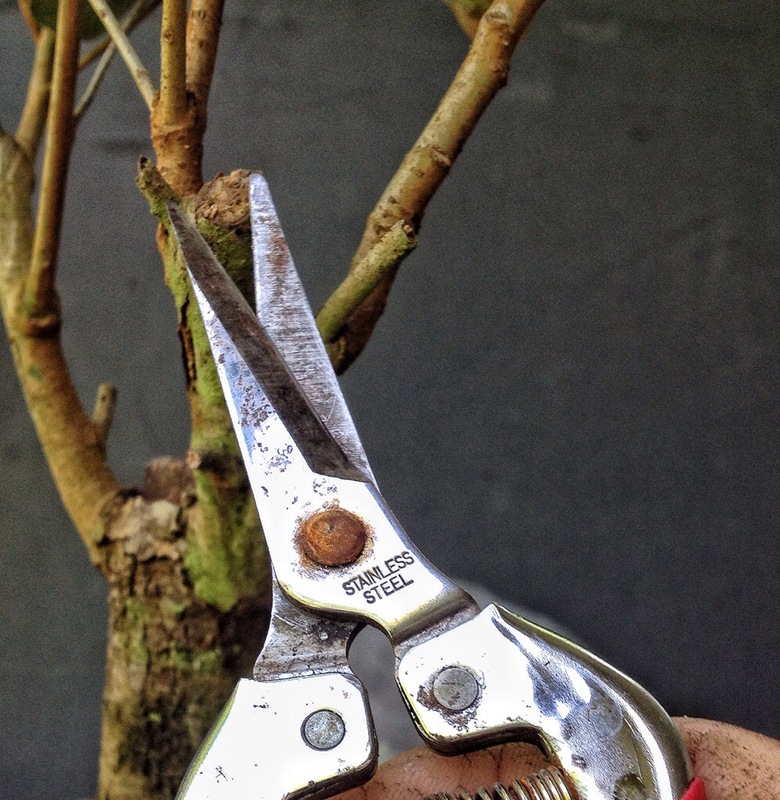 This tree needs a little more than just wire and pruning though; it needs time. I won’t say which nursery provided the oaks, so don’t ask. I am not really mad at them, only myself for not taking the trees when I picked them out. Certain promises were made that were not met. But I take full responsibility for the trees. Enough about that, let’s talk about the future. The tree has good bark, it’s aging pretty well. 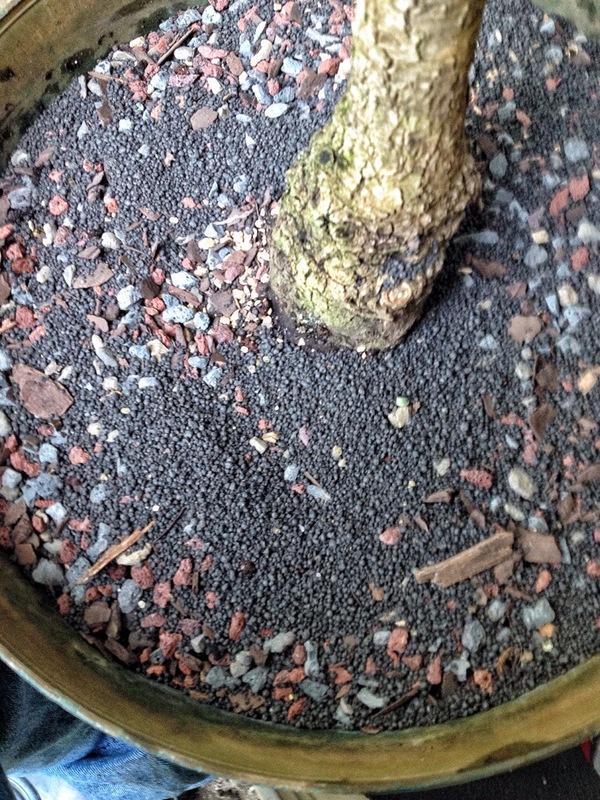 Although it looks like it’s in bonsai soil that’s really just a top dressing of lava. I’ll have to repot it in January of next year. My ultimate aim in working this tree is to make up for the mistake I made. So, I’ll develop it as much as I can, repot it into a good pot, and put it into the raffle or auction pool at next years convention and maybe recoup some of the losses we incurred on this years workshop. Since the convention (it’s been about one and a half weeks) the tree has grown a surprising amount. There is a bit of dieback though. Something’s happened to this tree, it seems as though it hasn’t dropped last years leaves yet. The whole tree has a slightly orange color to it because the well used to water the tree has a lot of iron in it. That, I have been told, has no effect on the trees growth. Maybe I’ll do a little research…….ah! There is such a thing as iron toxicity. 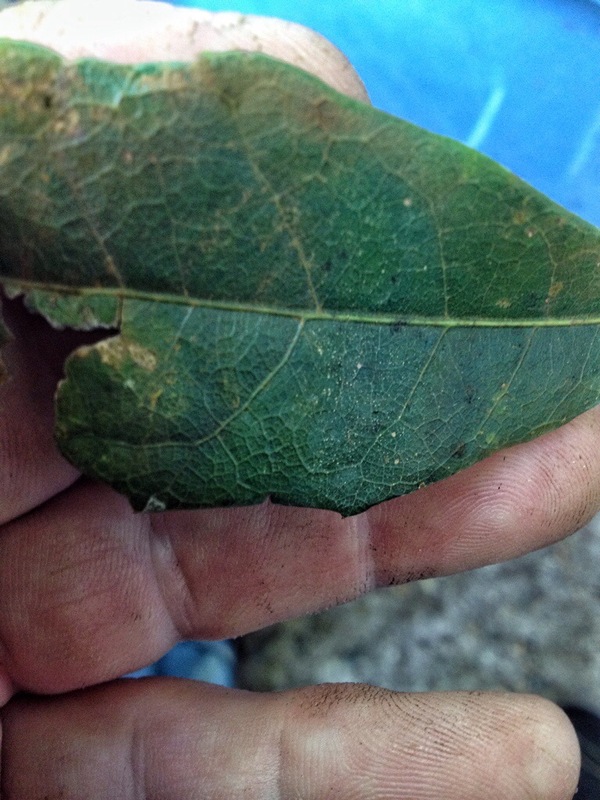 And dirty leaves do block the mechanism of photosynthesis. Makes you think about some things now, doesn’t it? I don’t have that problem at my nursery so maybe we will see some good growth. If you do have severe iron stains on your trees leaves, it’s supposedly very easy to remove it. 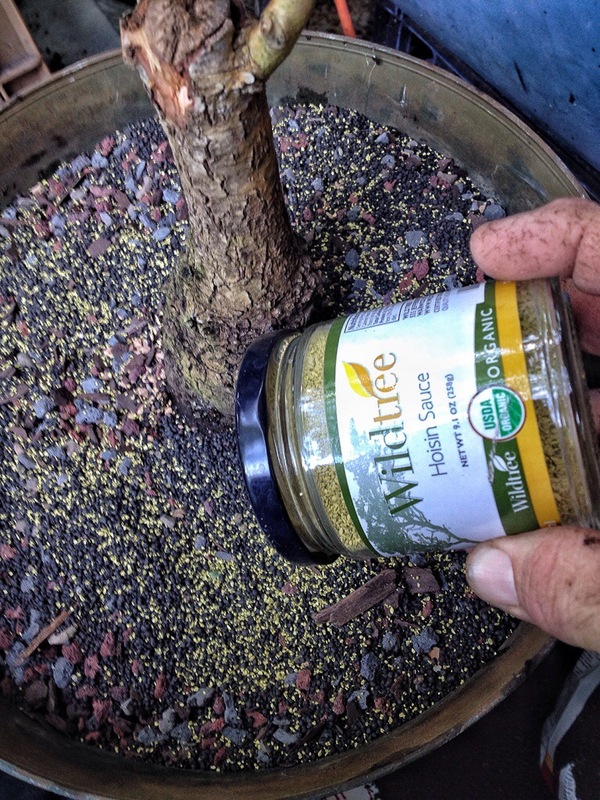 Get some muriatic acid (scary sounding…) mix it with water. The solution should be 95% water 5% acid. Then spray it on and wash it off. It’s supposed to melt the iron right off. I’ve never done it but I’ve had friends do it and they say it works. I’m going to do a little exploratory surgery at the trunk chop area. 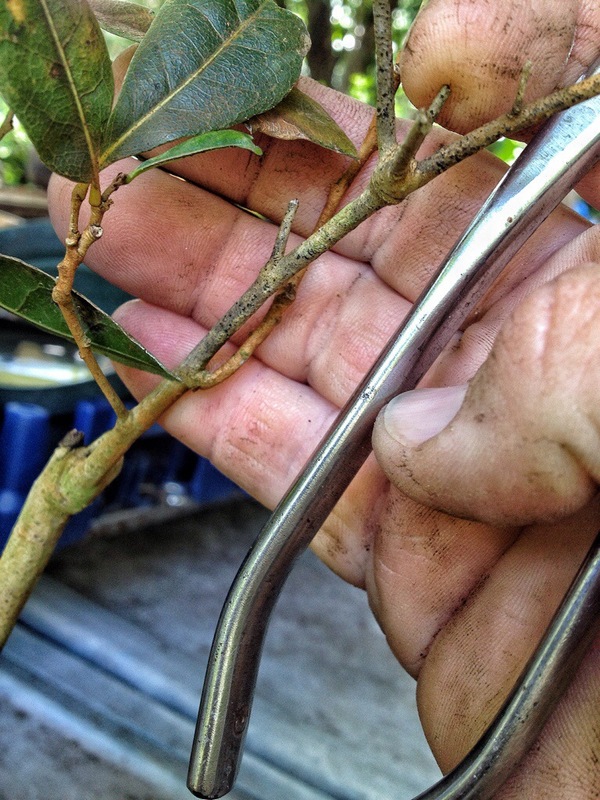 I know from experience that the live oak heals over wounds very well. I’ve seen full size trees heal a cut that’s a foot wide in a year or so and I’m hoping that we don’t have too bad of dieback on this little guy. Not bad. Looks like it’s healing, just not quickly. I’ll carve it out at a later date. There is dieback on the branches. The branch is dead to the middle of my pinky. I know the growth habits of the live oak. 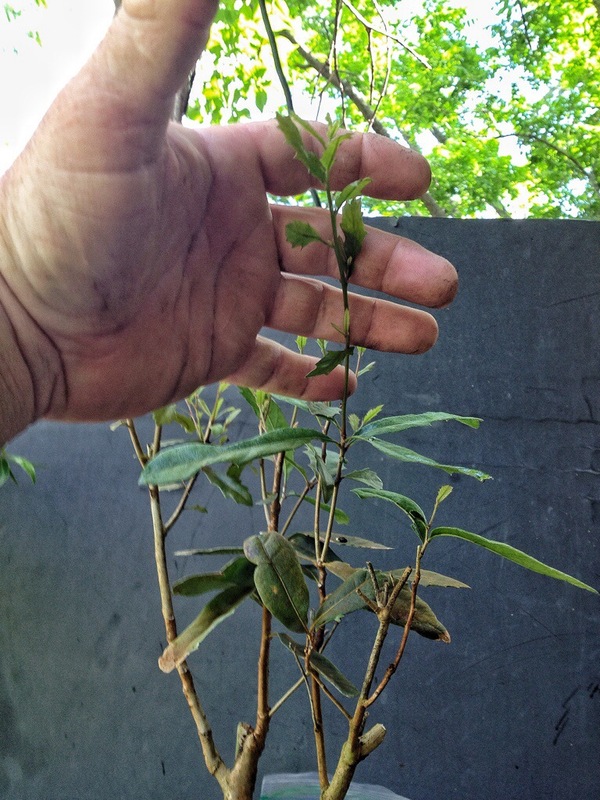 When it’s pruned hard it puts out copious new shoots. 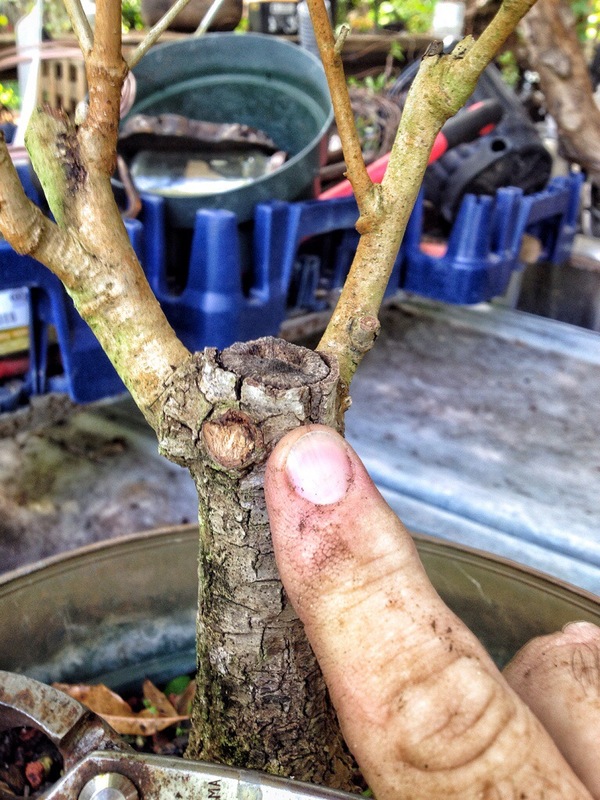 To develop it you really need to push the pruning and stay on top of the new growth. And remember that it’s a deciduous tree and it grows that way. 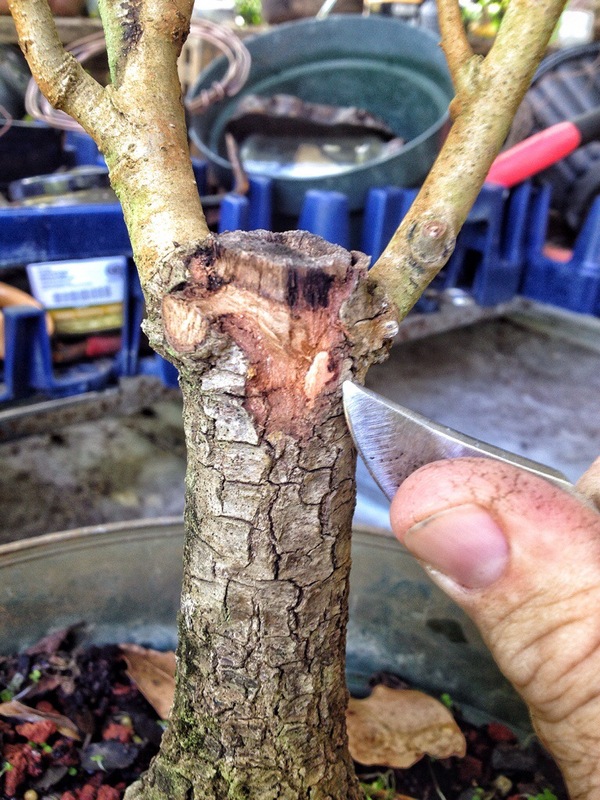 Prune at a node and allow for dieback. The normal fertilizing procedure with a deciduous tree would have me apply it after the new growth has hardened off but with the state this oak is in I’m going to fertilize heavily right now. And here’s a trick I learned from an old Chinese man who had a wooden leg named Smith. He had a fiberglass leg named Billy, because he used it like a club. But the trick is to use this yellow, powdered hoisin sauce as a growth stimulant. It works man, I tell you what, the sauce is the boss. It’s like steroids for your trees. The brand I use is an all organic and all natural preparation…..ok, sorry, I’m pulling your leg here. It’s just a jar I poked holes in so I can shake my pre-emergent weed preventer. I hate pulling weeds and this type of product is a time saver. I highly suggest using it. Or find an unpaid apprentice to pull weeds. The most popular brand name product you can find would be Preen. I use a commercial product I get in a 50 lb bag, way cheaper. You can find it at BWI. And that’s all for these two trees, except to watch them grow (hopefully, cross your fingers, sacrifice a chicken or throw salt over your shoulder). Watch for updates, I’ll be sure to post at least one. 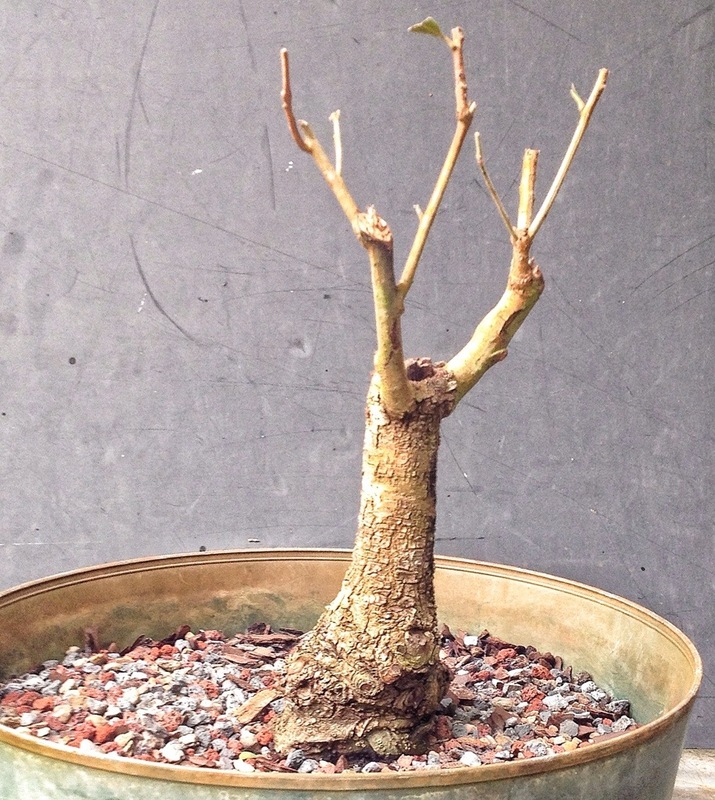 Next Why am I keeping this bonsai so tall? 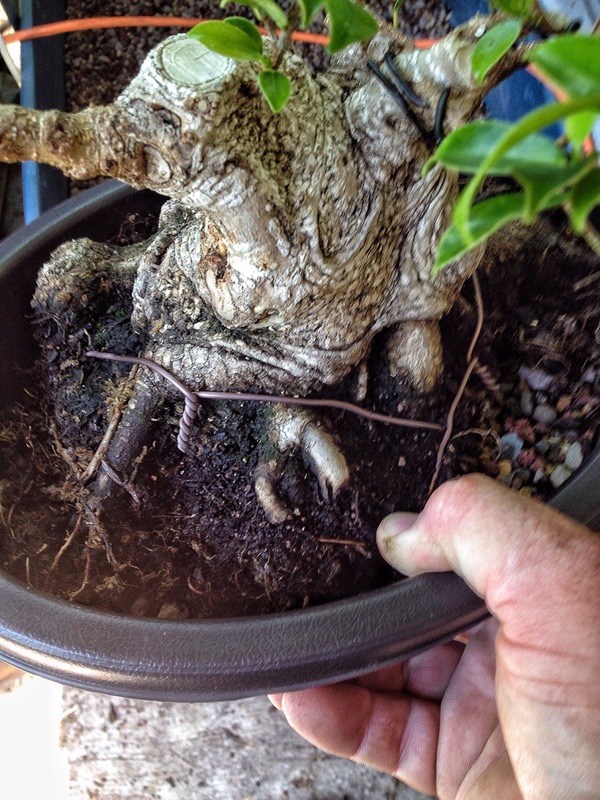 Hi Adam, I bought one of the left over oaks-oh, its a very pathetic plant for sure-not sure if its alive!-lots of branches and a half dead trunk-I’m going to tear into it tomorrow. 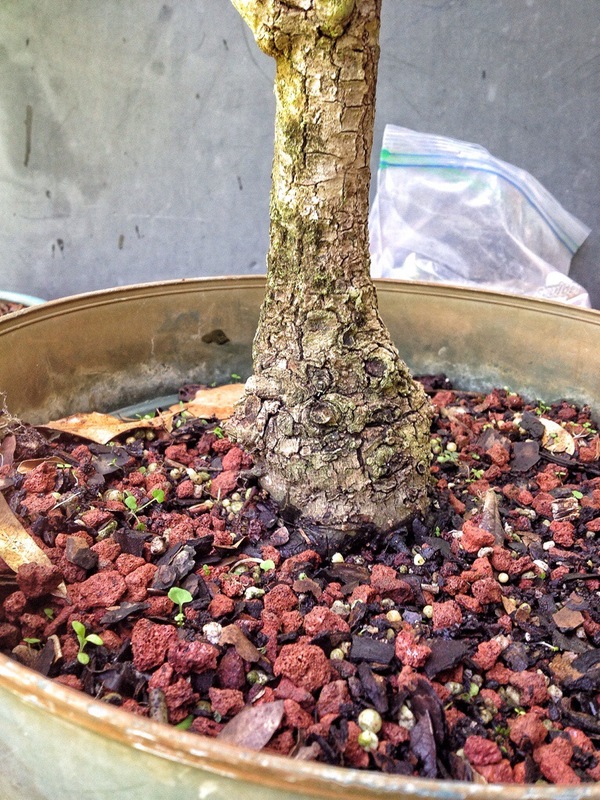 That’s a nice looking little ficus. I was bidding on it at the auction too if you remember. That was the one I wanted actually, I thought it was the best of all of them. I have always wanted a Live oak but can never find one when i am visiting in the south. 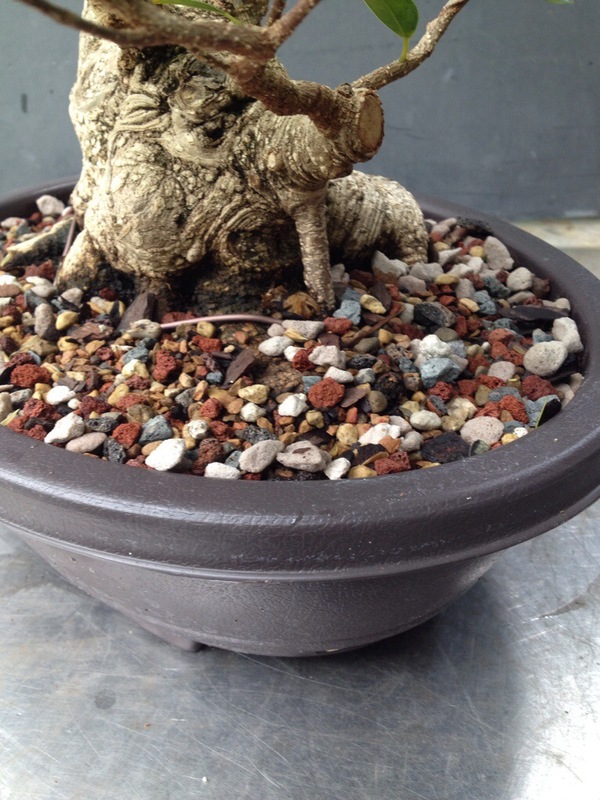 Adam, on the ficus, did you remove the sphagnum before potting it or just leave it? I removed it. 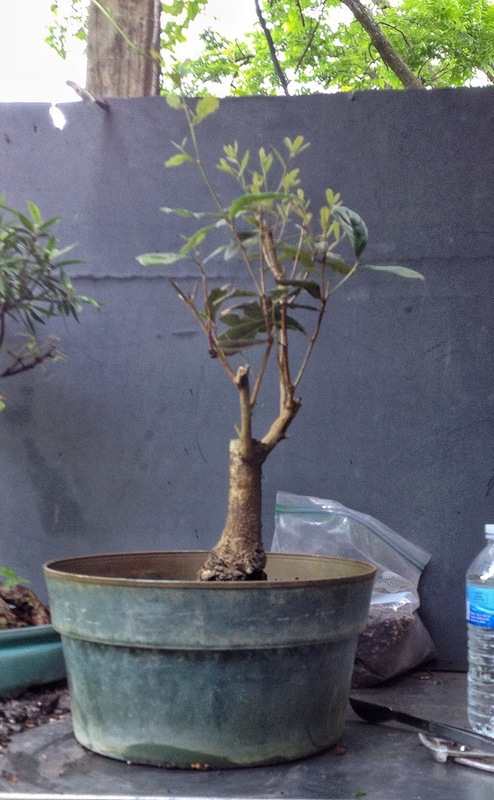 Regardless what people say, ficus need to go in a well draining mix for optimal growth and development. 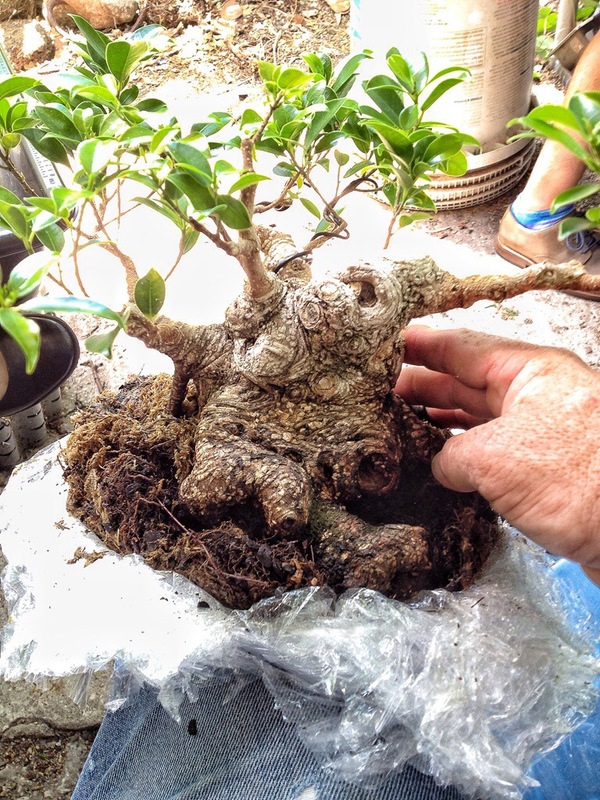 That Ficus is going to love it in your backyard this summer. I’m happy to see the little guy all potted up and happy. It’s still a long way from show worthy, but I’m hoping some good Florida weather under your care will jump start it. Unfortunately I made many mistakes on this tree when I was new to bonsai, so I feel like I owe the tree some vacation time. It’s one of those trees that I hope to pass on some day down the road.